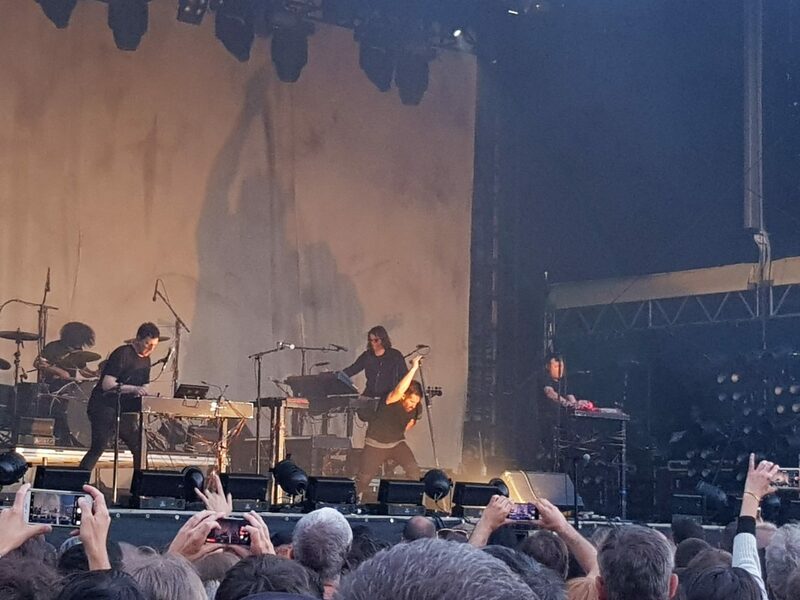 More than 10 years later I got to see NIN once again on stage, this time in an historic site and with no expectations to be honest. How did it go? It is not hard to know through the pictures that the concert was amazing! 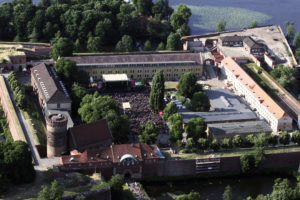 Although it, again, started with the new trend of putting really bad and unknown DJ’s as support acts, which leads to not getting the crowd excited (German crowds are already really hard to please!) 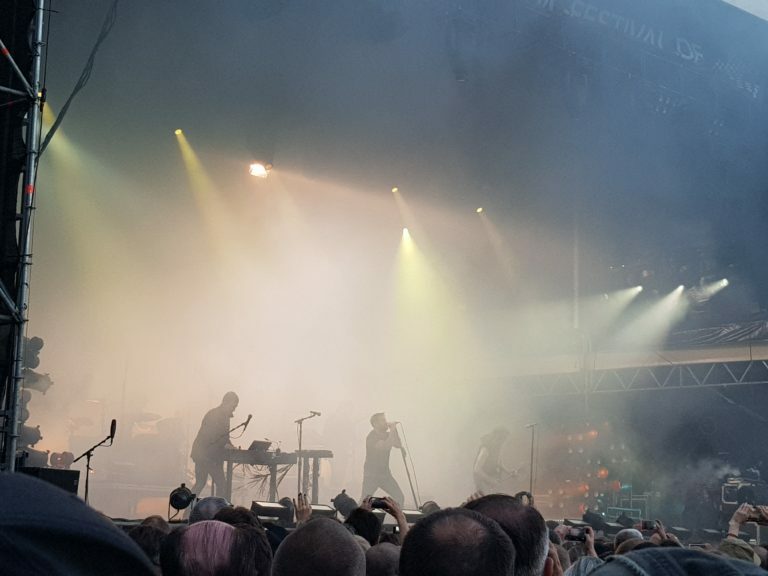 Nine Inch Nails dominated the stage as soon as they went up. 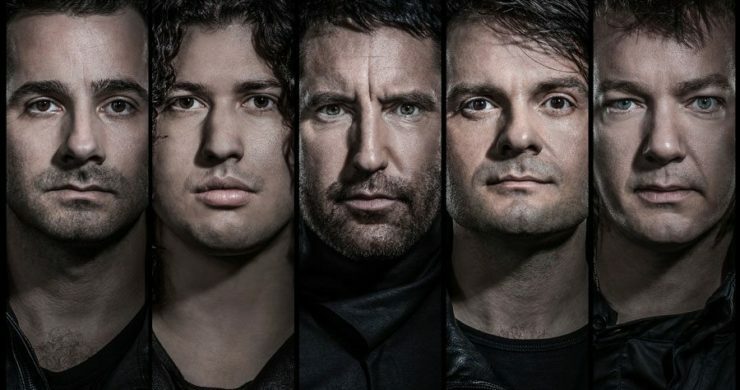 The only signal that the time has passed for NIN were the wrinkles in the faces of the band, even though Trent Reznor looks as hot as ever. The atmosphere, their energy and the voice were still as I remembered from 2005 in a small festival in Brasil. 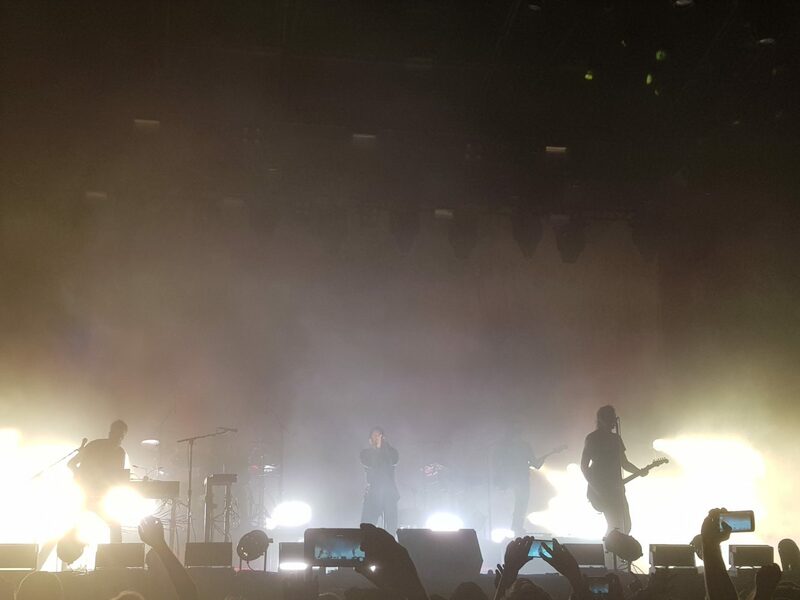 NIN started with some old time classics and made their way to our hearts. I couldn’t stop moving. I won’t lie, I was never the biggest fan of the band and I don’t usually listen to them at home or even have any songs from them on my everyday Spotify playlist. 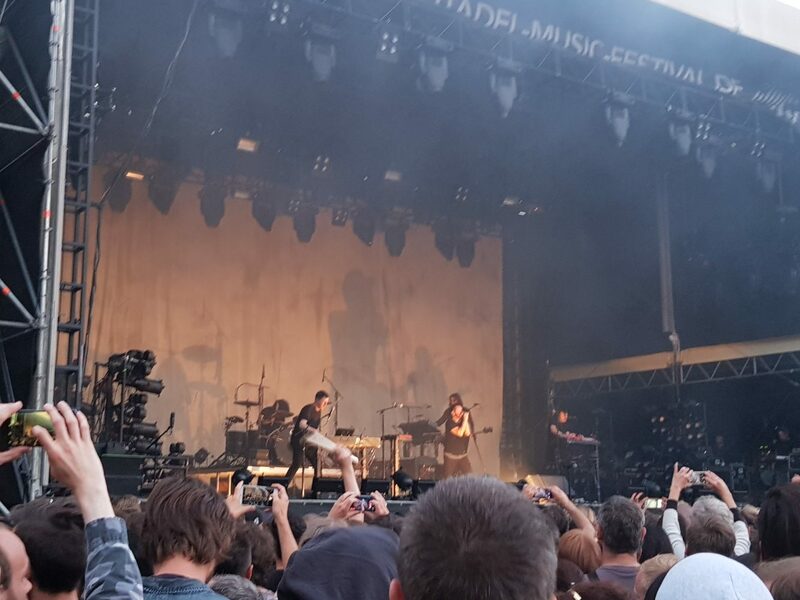 I actually got invited to this concert by a friend, still after this concert I wouldn’t think twice before buying the next one. 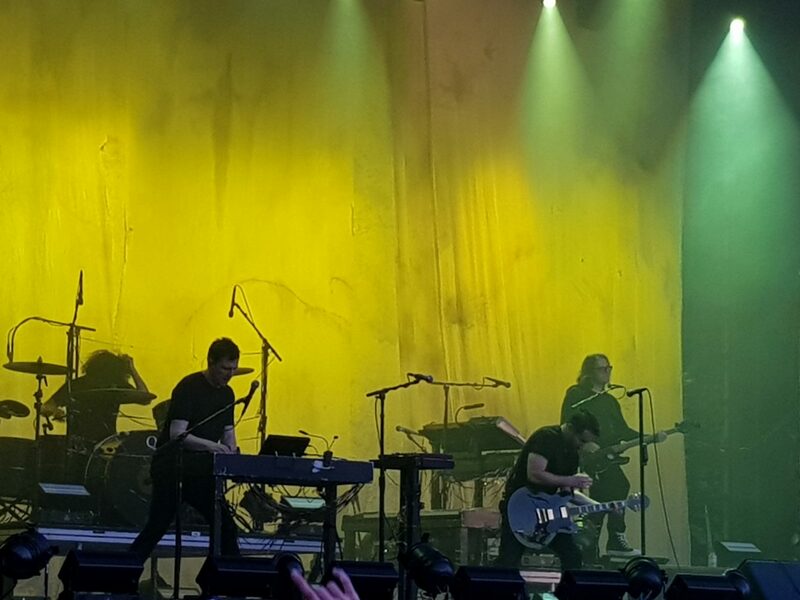 There is not much talk during the show, a couple thank you’s here and there, one or two small sentences, but it is all about the music. 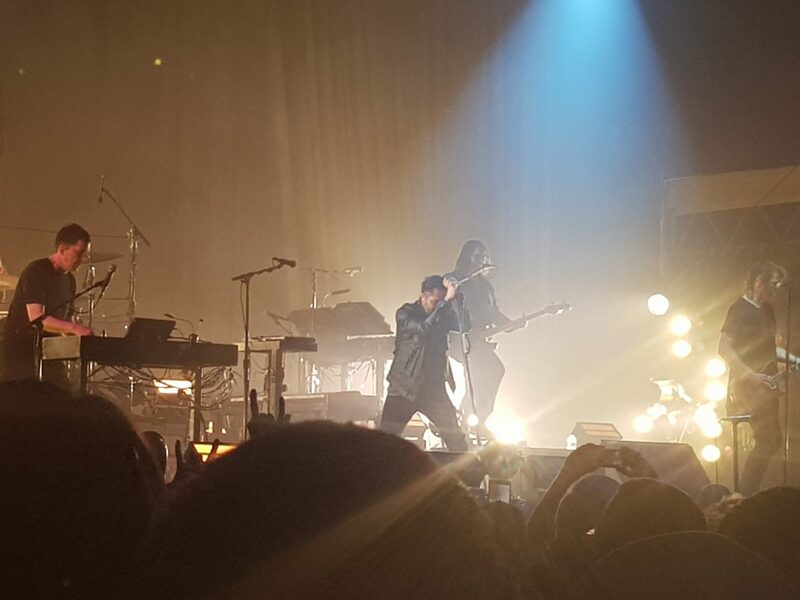 The highlight of the concert was as expected the last song. 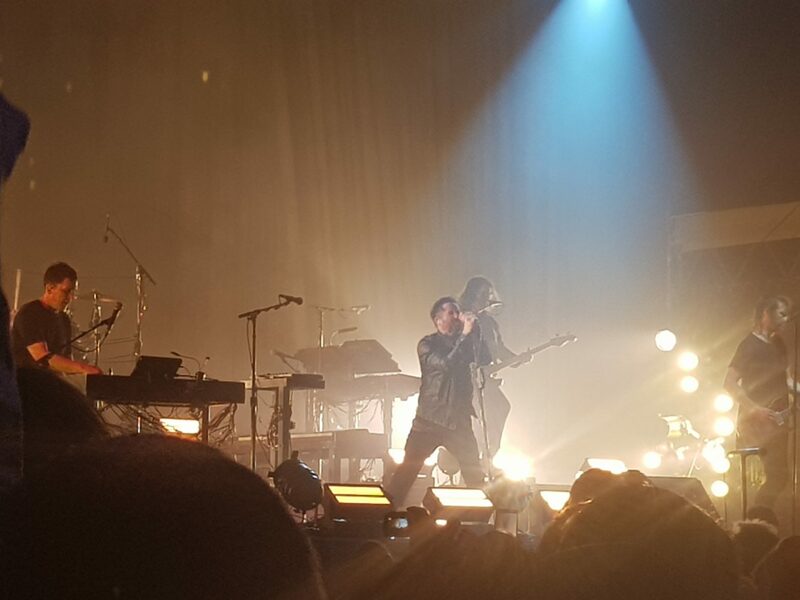 Reznor came back on stage after having left for a couple seconds that felt like minutes, sat on the piano and made everything in life worth playing Hurt in the best version I have ever heard. I left with that I want more feeling, but also feeling so lucky for the possibility of being there!